Im so tempted, does anyone have one ? This is a great priced Sun Lounger, will consider this for the summer before the price goes up. 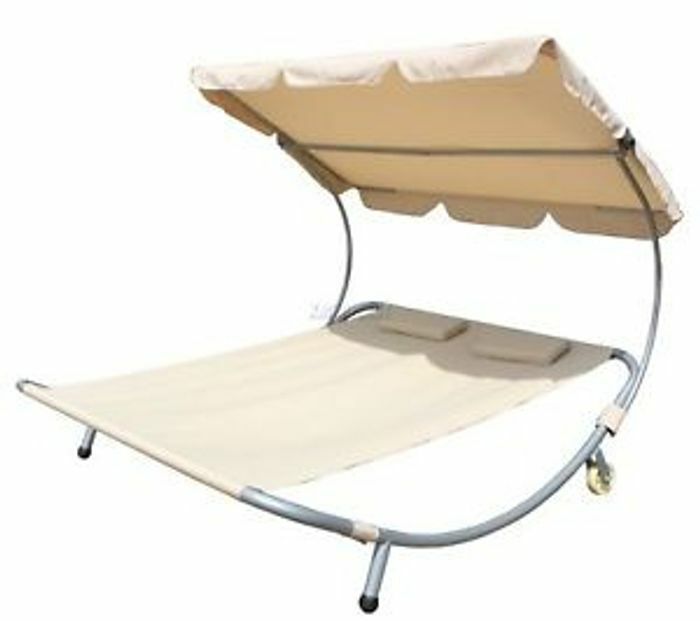 I had one of these was great and sturdy until the bed material ripped and now i have a frame and canopy i cannit use. I am unable to source new bed so unless can get replacement pieces dont waste ya money. What a brilliant idea, STARFISH! Lots more room for me! I wanted one of these last year but were quite expensive. I wonder what the quality of these is like. Anyone had one? This looks lovely and its a great price. Sadly I think the combination on our weight and a damp garden would mean this would end up about 2” from the ground! This is not a bargain! Mine was .. to say it bluntly crap, I’m not over weight, this sags badly within weeks your bum hits the floor. So not a great buy! Got mine from Groupon for £50.00 last year. this is great - does anyone have one - what is th quality like ?